TeenDramaWhore | There's always drama but without it, what fun would TV be? Thanks again to Alyssa for giving me the heads-up about this. It’s a must-have for any TDW’s wardrobe. $22 at Hot Topic. Go! I’m thrilled to announce a new partnership with TheTVAddict.com, where I will be writing a weekly column on – what else? – teen dramas. I’ve linked to TheTVAddict.com in quite a few News Roundups, and I’m honored they’ve asked me to become a contributor. 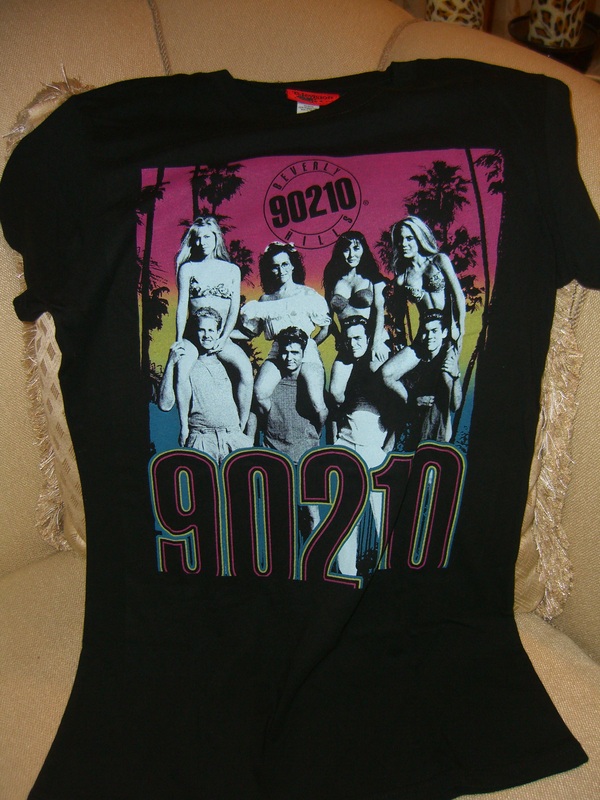 Each week I will share some highlights and lowlights from the new 90210, Gossip Girl and One Tree Hill episodes. I think this is a perfect way for you and me to still get a TDW fix (with a twist!) while my general hiatus continues. Be sure to check out my first column (and come back next week! ), and keep checking TDW for occasional updates. In a weird turn of events befitting of a teen drama post-college years storyline (ala on Beverly Hills 90210 or One Tree Hill), I received a job offer a mere few days after writing this post. I’ve since accepted the offer, a position at the New York Daily News where I’ll be covering gossip/entertainment for their website. Like with most big-time journalism gigs, my services must remain exclusive to that publication – meaning, I can’t write for TheTVAddict.com or any other outlet. I’m so grateful that TheTVAddict.com wanted me to contribute to their site, and even more grateful that you guys were excited to read my columns there. I’m sorry my tenure there had to end so quickly, but this new job was an opportunity that could not be passed up. Hope you’ll look for my byline in a few weeks at nydailynews.com/gossip! The One Tree Hill season 8 premiere airs tonight on The CW at 8pm eastern. I won’t be live-blogging, but I’m happy to chat about the episode. 90210 season 3 premieres tonight at 8pm eastern on The CW, followed by the season 4 premiere of Gossip Girl at 9pm. As of now, I won’t be live-blogging, but if you want to chat about either episode, you know how to reach me.